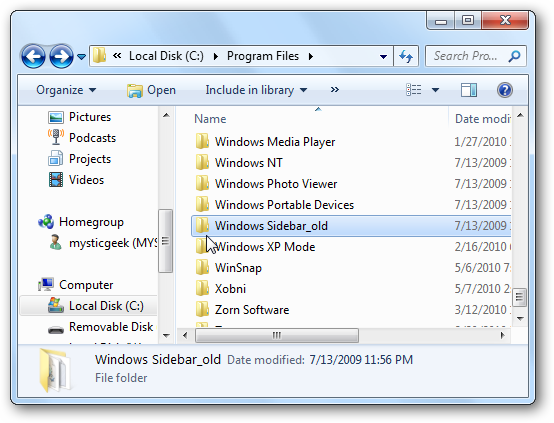 If you are moving from Vista to Windows 7, you might miss the Sidebar which was introduced in Vista. 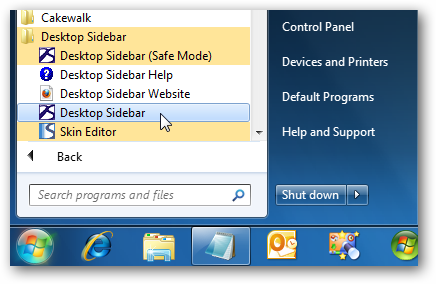 Today we take a look at a couple options for getting a Sidebar back in Windows 7. 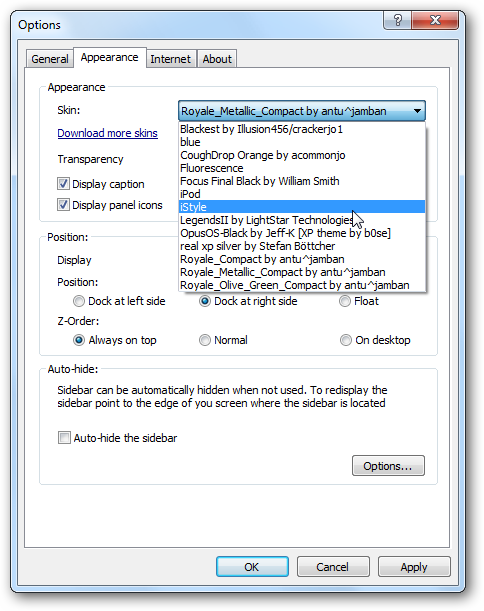 There you are…the Original Vista Sidebar is back and will act as it did in Vista. 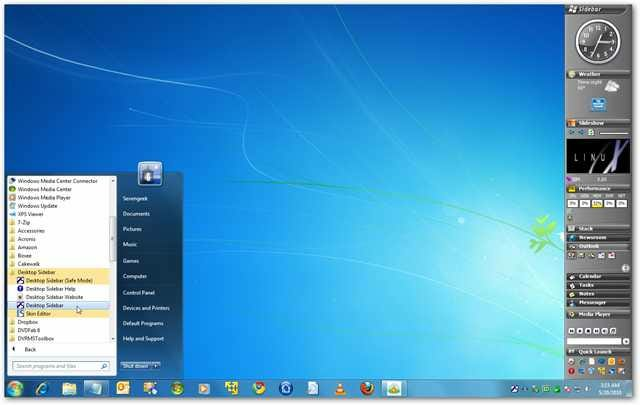 Another work around if you don’t have a copy of Vista, you can simply move the Desktop Gadgets you want over to the right side of the screen and they will stay there…no dock needed. 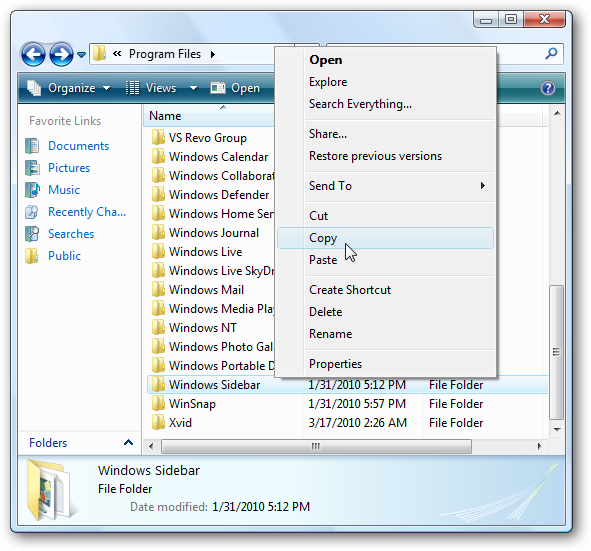 Type gadgets into the Search box in the Windows Start Menu and click on Desktop Gadgets. 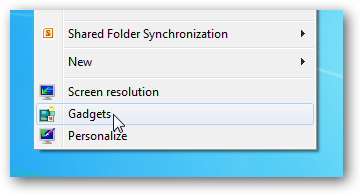 Then drag the included Gadgets you want over to the right side of the screen. Or click on the link to Get more gadgets online to find more. Once you have them where you want, each time you reboot they will still be in the same location. This holds true no matter where you place them on your desktop as well. 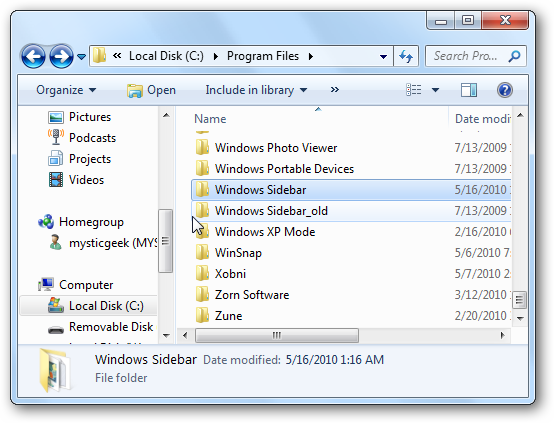 If you want an enhanced sidebar that includes a lot of different features, and don’t have a copy of Vista, you might want to check out Desktop Sidebar Beta (link below). 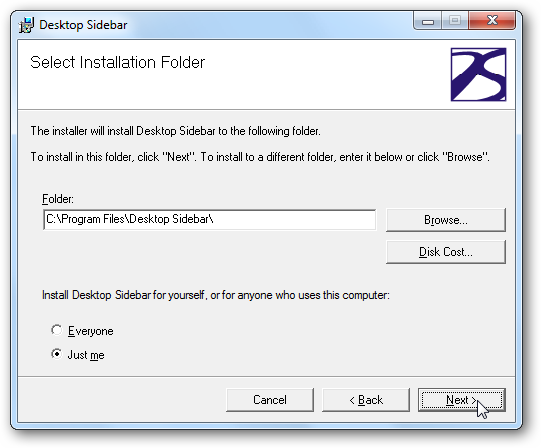 This is a freeware application that works with Windows XP, Vista, and Windows 7. 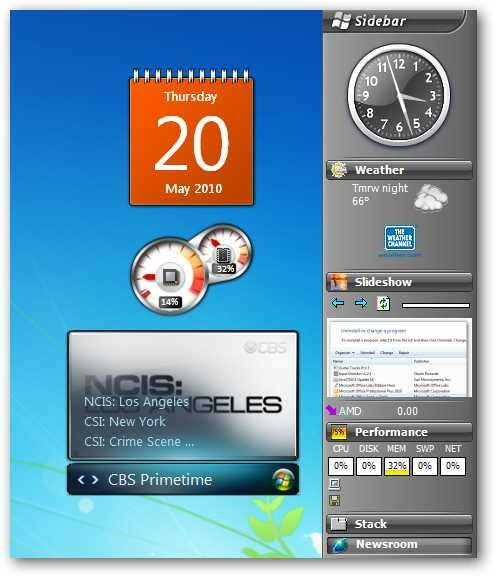 It includes several pre-installed panels including a clock, Media Player, Search Bar, Slideshow, Messenger, Outlook inbox, Tasks, Quick Launch, Performance…and a lot more. It is highly customizable and allows you to change skins, add various levels of transparency, and a lot more. 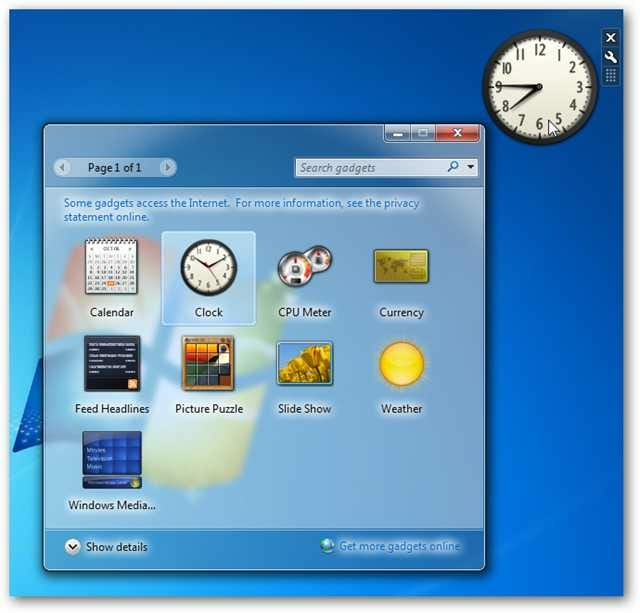 One caveat with going with Desktop Sidebar is we didn’t find a way to add Windows Gadgets to it (though there might be a plugin for it that we’re not aware of). But there are so many options, you may not mind. 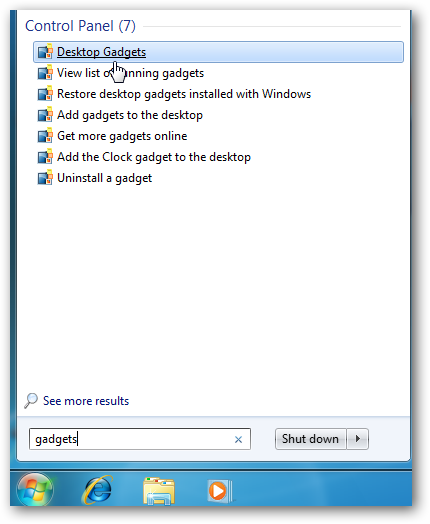 However, you can still use the desktop gadgets as you normally would in Windows 7. 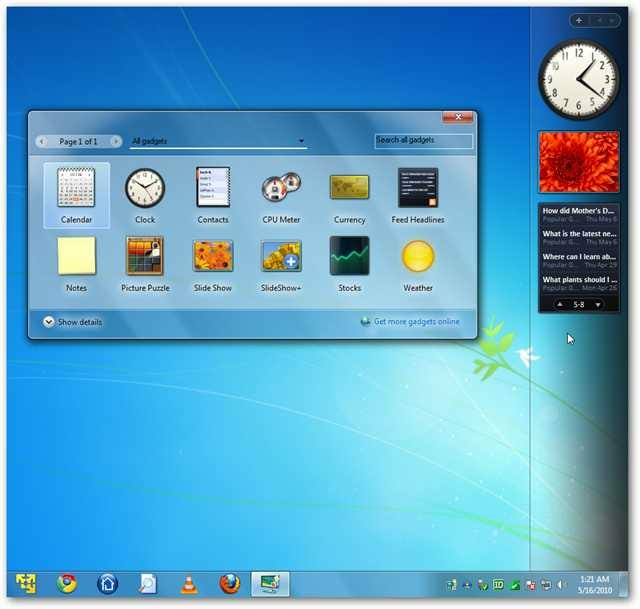 Believe it or not, some people actually prefer the Vista style Sidebar and would like it back in Windows 7. 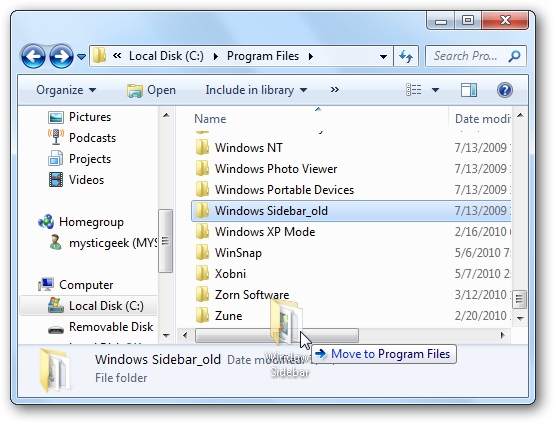 With these options you can get the Vista Sidebar back if you have a copy of Vista, place the Gadgets on the desktop, or go the freeware route.